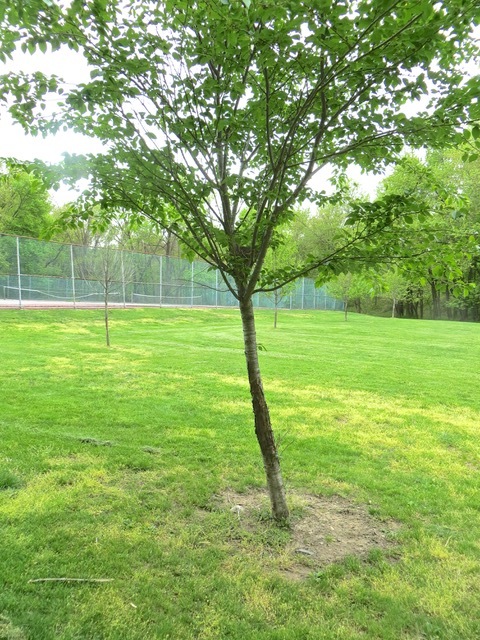 When Sally and I take our morning walks in the Bergen County Park, we see many animals. One ubiquitous bird is the red breasted robin. As these birds’ chest feathers are not really red, we prefer to call them rust breasted robins. 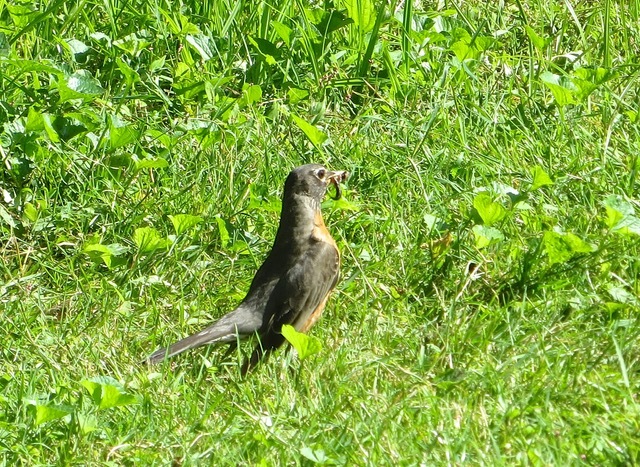 This robin caught a worm and was carrying it somewhere. Maybe it was bringing the worm to feed its chicks. 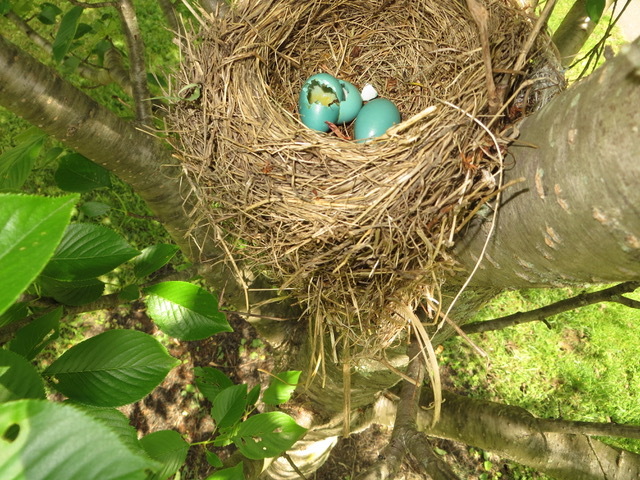 Last year, we found a bird’s nest on a young tree, not too high above the ground. We thought that was a relatively unsafe place to build a nest. 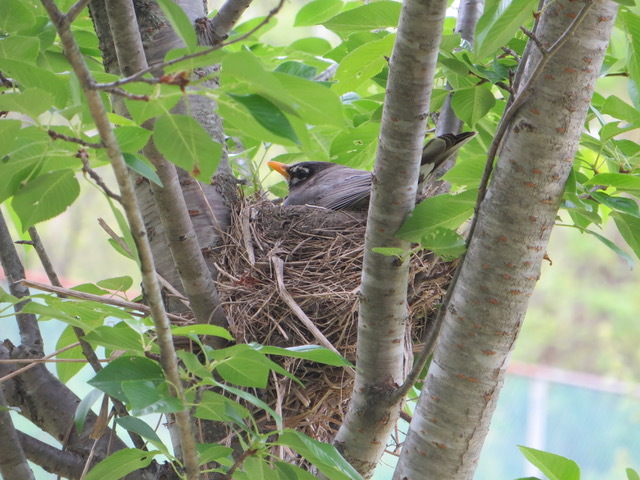 We approached the nest and saw a robin sitting in the nest. Even as we got close to it, it did not stir as it was intensely focused on its task at hand. An hour later, we walked by the nest again. The bird had left the nest. Using my selfie stick, I took this picture of two eggs in the nest. 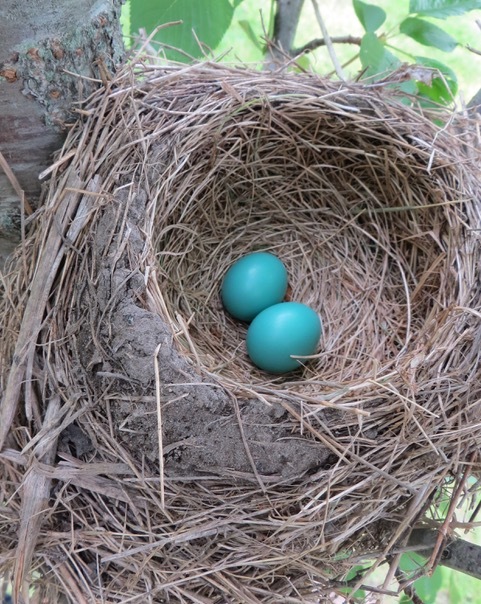 They were colored in the iconic “robin’s egg blue”. They were beautiful. Unfortunately, we did not return to the nest to follow up on the development of the eggs or the hatchlings. 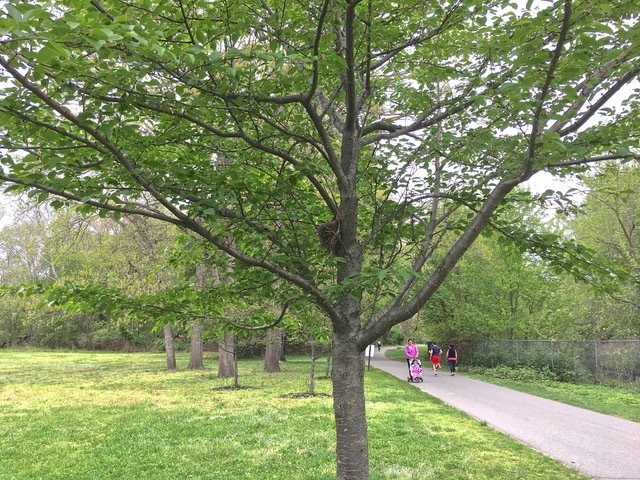 A few days ago, we saw another bird’s nest on another small tree. 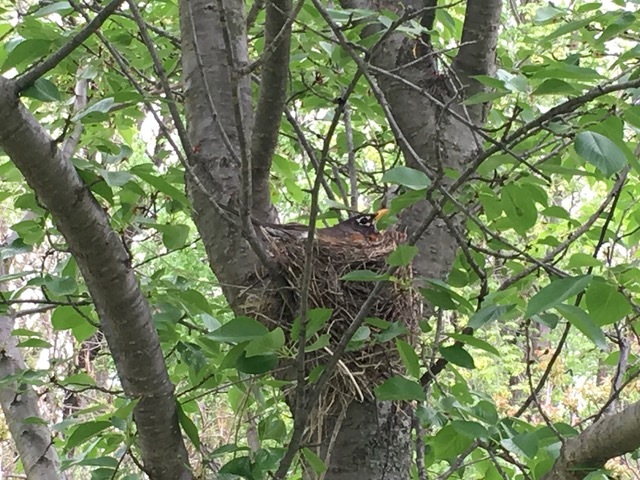 Again, we saw a robin sitting in the nest, apparently incubating its eggs. We did not disturb it. This morning, we walked by the nest again and did not see the robin in the nest. Using the selfie stick, I peeked into the nest. To our horror, we saw three eggs, two of which were broken. 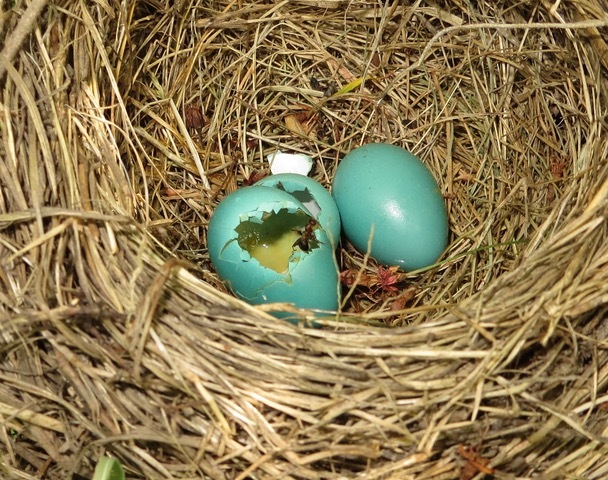 The two broken eggs had their shells smashed inward, apparently by an intruding predator. If chicks were hatched from the egg, the shells would be broken outward. The carcass of a large ant was stuck to the inside of the egg shell, caught by the sticky protein of the egg yolk. We were saddened by this turn of event. The robins spent a great deal of effort to bring straws, twigs and mud to build the large nest, by robin scale. Then the mating pair laid their eggs and spent endless days sitting on the eggs to incubate them. After all this prodigious effort to produce the next generation, the robins were robbed of their chance to parenthood. Nature can be so harsh and unforgiving. We thank our mothers for giving us life and our very existence. Posted by Robert Wu on Wednesday, May 10, 2017, at 6:36 pm. Filed under Uncategorized. Follow any responses to this post with its comments RSS feed. You can post a comment or trackback from your blog.